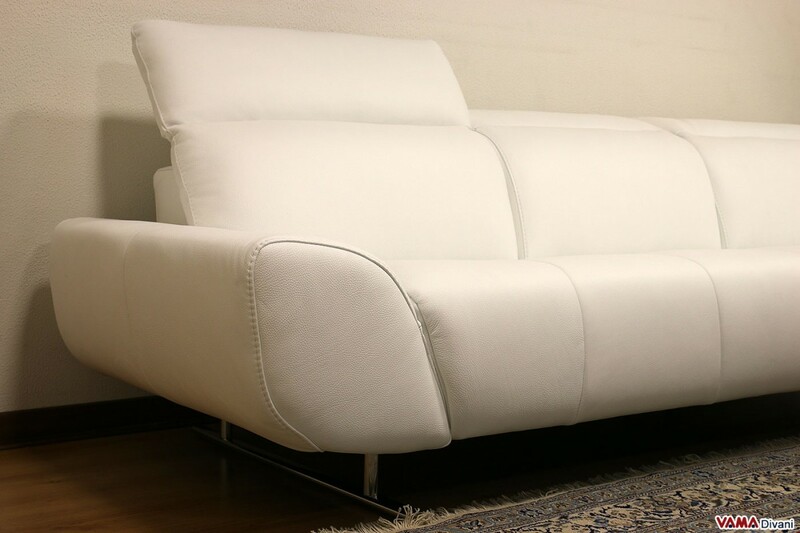 The contemporary corner Domino sofa features a futuristic design, which makes it the main character of the space in which it is placed. The leather upholstery, the voluminous arms and the chromed steel supports make Domino truly charming, while its soft padding and reclining headrests enhance its comfort. This contemporary corner leather sofa owes its name to its special design: its original and charming shape really seems to be composed of a series of cards placed side by side, just like in the famous board game. 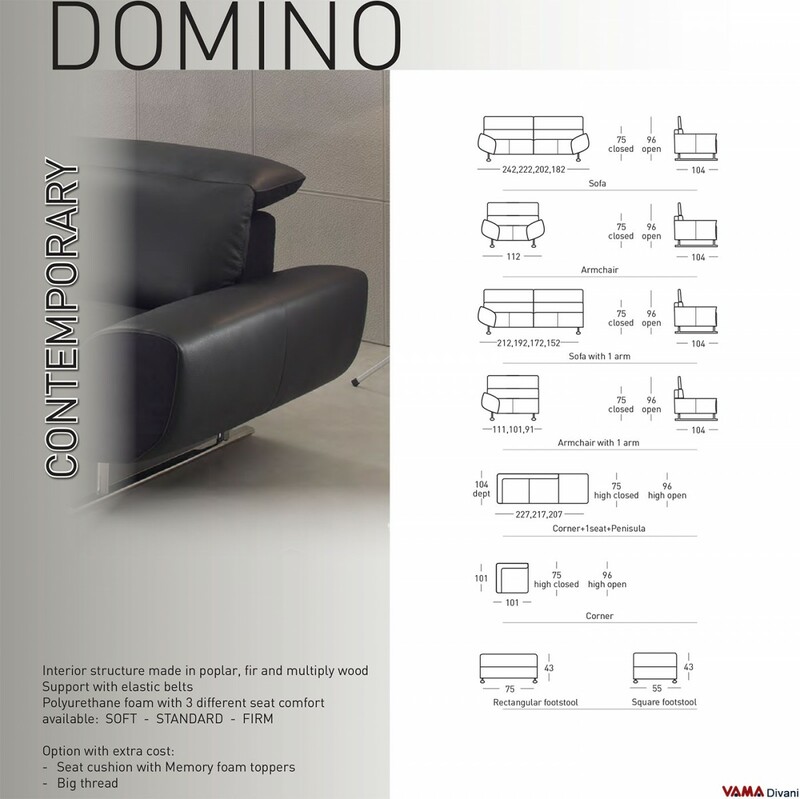 Domino, with its so appealing look, is a real masterpiece of modernity: its clean and harmonious lines and shapes make it an ideal piece of furniture for all contemporary spaces, whether living rooms, offices or even more. Even its bold and stylish feet, in chromed steel, give this sofa a strong personality. Since it is a corner sofa, it is perfect to be placed at any right angle, or even in the middle of the room, spaced from the walls, this last solution seems to be very appreciated by design experts. 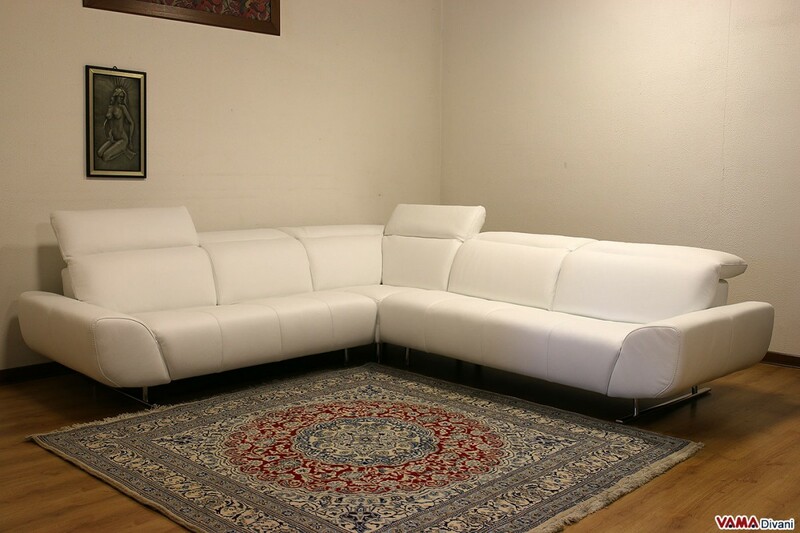 Besides having a nice and cool look, the Domino corner sofa is really comfortable: its soft padding, its fine leather finished with elements in microfibre, its high back and reclining headrests are interesting details that help this sofa to be extremely cosy and comfortable. 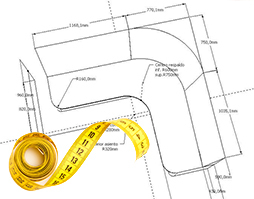 VAMA Divani can realise your perfect custom sofa.